Some people argue why there is still B.E.T and no W.E.T? I argue why there is a girl of the week but no man of the week? Surely there is a female audience out there or at least a gay man that hasn’t come out of the closet yet that wants to see some eye candy! Well, the women have spoken. It’s been a long time coming but there is a new segment….Man Meat of the Week! It was tough to decide who should be the first man. 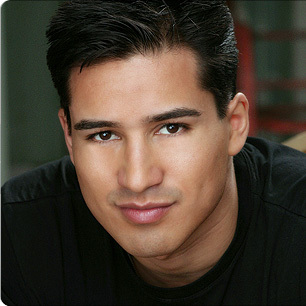 There were a lot of good suggestions but I had Mario Lopez in mind for a while. Who knew under that mullet and stonewashed jeans there was a hot man waiting to be unleashed? If only high school didn’t happen in that awkward stage of life…. You're Welcome ladies!! Go Bayside!! guess I can take this off the sites I bookmark. This sites changed and not in a good way. I agree that was a bad idea, I will be a former reader also if this continues. equal opportunity. good job - did Aly post this?? May I suggest the new superman next week! Henry Cavill. Thank you! I think fair is fair - nice job!